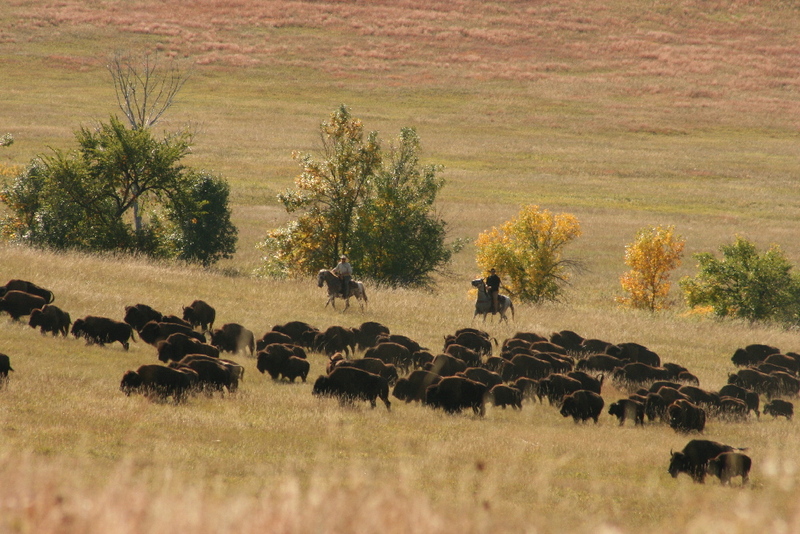 The last Monday of September, Custer State Park, in South Dakota, has a roundup of the bison in the park. It starts at 9:30 in the morning but, you better be there early! We left our home (In N.E. Wyoming) at 4:00 A.M. to be there by the time the gates opened at 6:15. As the sun was almost up, a large bunch of buffalo were herded right past our place in the car line. I got a few great pictures there. We found a nice place along the fence. This year we were at the South park area. Last time we were at the North Park area. There are advantages to both! I think you are closer to the buffalo in the south area but, I think there was a better show at the north area. The people are always so friendly while you wait. We had the couple that was in front of us in our car save us a place by the fence. We visited with people from Texas, Indiana, Alabama and many other states all visiting around us. I also met a lovely woman from Belguim. Next time I will bring some scissors to trim the grass in front of the fence while I wait! The bison count was about 1,000 and the people count was about 15,000. Once the buffalo were coralled they let every one walk around. Then you can get some GREAT close up photos through the fence. Some years I come to the roundup at about 10:30 or 11:00 to get close up shots (and sleep). 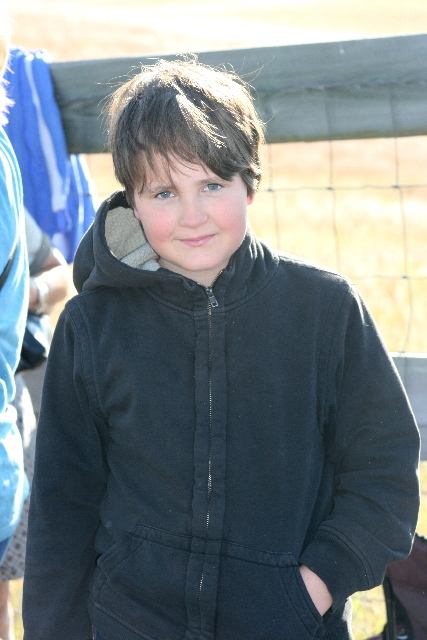 My son Jamison (10) was my travelling companion for the day. He made us some pretty good PB and J's for brunch. His comment was " Five hours of waiting for twenty minutes of herding".